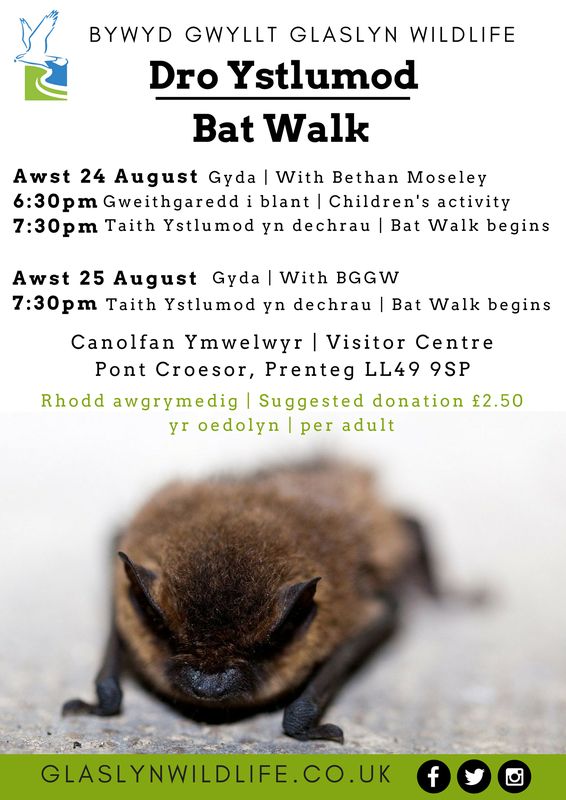 Join us for a Bat Walk on Friday and Saturday 24+25th August. A special activity for children at 6:30pm before the walk on Friday evening. Bring a torch and wear suitable shoes and clothing as the field can get wet and muddy on occasions. We look forward to seeing you there!